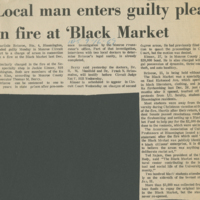 "Local Man Enters Guilty Plea"
Newspaper article describing the court proceedings for those individuals accused of starting the Dec 26, 1968 Black Market fire. 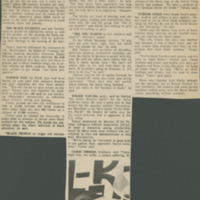 Both men were ultimately convicted of arson. 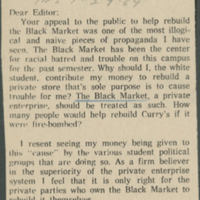 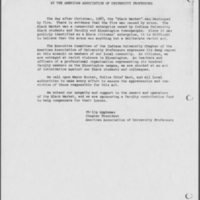 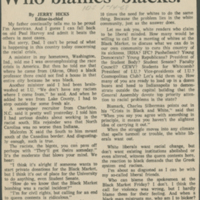 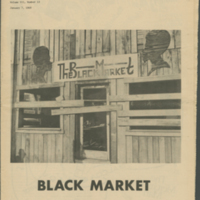 Newspaper editorial discussing the current state of race relations in Indiana, sparked by the recent arson of The Black Market and subsequent rally. 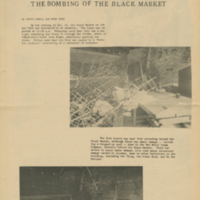 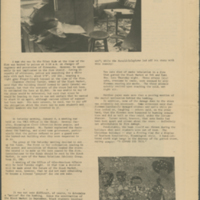 Newspaper article describing a January 10, 1969 rally outside of the bombed-out remains of The Black Market. 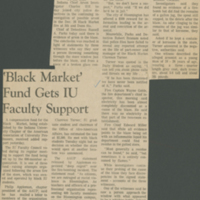 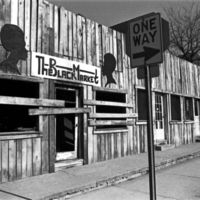 The arson exacerbated racial tensions on the IU campus, as black students became increasingly vocal about discrimination.